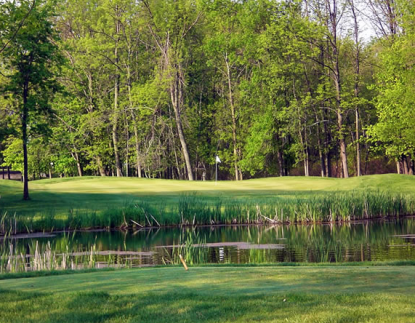 Castle Creek Golf Club, previously named Lum International Golf Course is a Public, 27 hole golf facility located in Lum, Michigan. 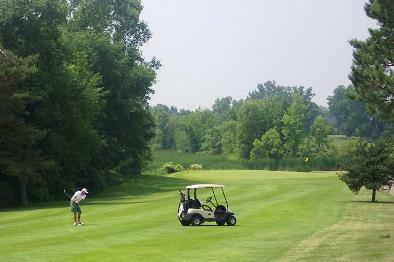 Castle Creek Golf Club has three 9-hole golf courses. These courses can be combined in pairs to form three different 18 hole course challenges. The nine-hole courses are The Red Course, The White Course, and The Green Course. The courses at Castle Creek Golf Club first opened for play in 1979. They were designed by Joe Hawald and Robert Muir Graves. The Red Course has water hazards (creeks and ponds) coming into play on at least seven separate occasions. The majority of the sand bunkers guard the greens, but there are some sand bunkers located in the fairways. 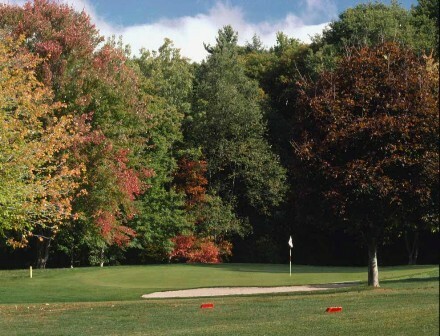 The fairways were built on rolling terrain and have a scattering of trees that can alter your shots. The White Course is mostly flat, but there are some hills that can cause uneven lies. The greens are large and well bunkered. Hole #4 on the White Course, a 359-yard, par 4, is highlighted by its island green. The Green Course's first four holes are heavily wooded, while its last five holes are mostly open. The fairways are generally narrow, and water hazards (ponds) come into play on the three holes. Its greens are also large and guarded by sand bunkers.